There are many reasons to have a tattoo. Some do this for identification, while others do it for spiritual purposes. Tattoo designs vary depending on the place of origin. In this case, half sleeve Japanese tattoos are unique, but nearly the same old as other tattoos known to man. These tattoos also have cultural significance. People didn’t randomly ink their bodies with tattoos because this artwork was used as a status symbol. 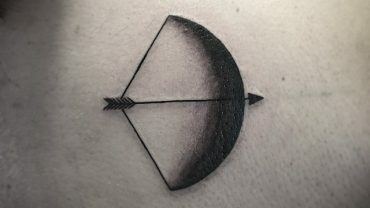 There were times when tattoos got a negative reputation and it’s because people used them to mark criminals. It wasn’t until the Edo Period that tattoos shed the negative perception attached to them. Well, many were still judgmental, but people also became more and more accepting with the fact that tattoos could also be viewed as art. They have evolved like what happens in many countries. Nowadays tattoos are no longer frowned upon. While there are still some who find the idea unappealing, they don’t lose their mind over those who think otherwise. The Japanese tattoo culture wasn’t unheard of, but for some reason it went underground. Part of the negative association came from the use of tattoos by the Yakuza. If you pay attention to the Japanese culture, you must have heard of the notorious group. Their tattoos are inspired by objects like snakes, cherry blossoms, koi fish, and others. They also wear the art as a full body suit, something that doesn’t seem rare these days. Interestingly enough, the yakuza used tattoos for identification, so each member got to have one to prove that they’re part of the clan. If you want to have a Japanese tattoo to cover the upper section of the arm, a water image would be perfect provided that this substance is extensively used for this particular style. Half-sleeve tattoos are often chosen because they look somewhat sleeker and cleaner compared to full-blown arm tattoos. Who’s qualified for a tattoo sleeve? Anyone can have it, but it does look good on biceps. That’s not to say that you should lift up weights before getting a tattoo. Even if you have a slender body, this could still be an option. They’re more popular with men, though. Women tend to prefer cute little tattoos, but don’t be surprised if you see some covered in such tattoos because they have gained a lot of respect and acceptance over the years. There’s a popular belief that half sleeve Japanese tattoos can make a man look more masculine. It’s true because the art itself already has masculine aura attached to it. Some styles only emphasize that, like this one for example.